Make operations scalable by improving your processes—by becoming more effective, efficient, and value-driven. Streamlining operations is an important part of the path toward sustainable and scalable growth. Honing those operations to become faster, cheaper, and better is an ongoing pursuit for most organizations. However, sometimes process improvement efforts, to document, analyze, and redefine a process, feel like change for the sake of change. How can you be sure the new process is stronger, and not just different? Let’s get back to basics and use the principles of “process excellence” to ensure changes lead to improved results. A simple definition of process excellence is a process designed to be effective and efficient, and one that creates value. To understand these principles, we can apply them to an everyday task like mowing the lawn. Did I put enough gas in the mower to complete cutting the whole yard? How well am I cutting the grass? Are all the grass blades cut evenly? Did I miss any sections? As I worked through the season, was I able to cut the same amount of grass faster? Was I able to cut more grass in the same length of time? Did I mow well enough that I can now bring my child outside to play ball without worrying about knee-high weeds? Does the yard have the curb appeal for the coveted yard-of-the-month award? An effective process is robust, and one that will continue to operate despite changing external factors. This means most business scenarios, or activities, that are a part of running the business are accounted for during process design. Consider the Pareto principle—also known as the “80/20 rule”—which states that 80 percent of the effects come from 20 percent of the causes. Focusing on the scenarios that drive 80 percent of the results will ensure the process is robust enough to be sustainable, without becoming overly complex. Using the facts to prioritize reduces “noise” caused by anecdotal pain points and prevents additional change to accommodate exceptions. A process must be repeatable and standardized to be truly effective. Documenting your process clarifies roles and responsibilities and helps ensure activities are consistently executed. Process documentation standardizes the operation and encourages an organization to define how to repeat success. When teams understand what is expected of them, they understand what they are aiming for. Documentation is typically a process flow diagram, but may include anything that is useful or helps enhance the consistency of the process (e.g., spaghetti diagrams, checklists, Standard Operating Procedures, etc.). The process owner is responsible for ensuring the process is documented, executed, and governed successfully. Documentation also enables communication, which is an important part of making a process effective. Communication is key to ensuring stakeholders understand what is expected for the inputs, execution, and outputs of a process. Metrics and reporting are also forms of communication, providing feedback on the process to help sustain and optimize results. These become your quality measurements. It is important to update process documentation as the business evolves. Stale process documentation that becomes “shelf-ware” does nothing to make the process repeatable, let alone effective. As process updates are made, follow change management best practices to communicate the change effectively. This ensures stakeholders understand their changing roles and responsibilities, drives adoption of the new process, and ultimately delivers greater value for the customer. Being efficient means “achieving maximum productivity with minimum wasted effort or expense.” Applying that definition to a process means keeping things lean and mean. 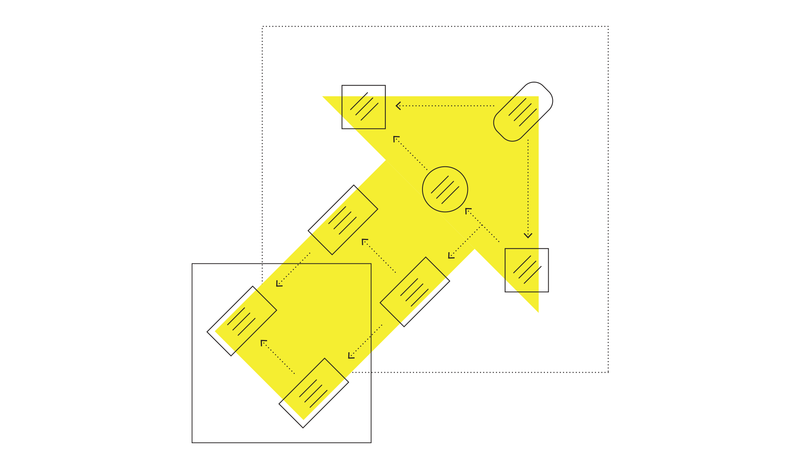 When designing a process, limit complexity so it is easy to follow and control. It is much easier to repeat and manage a simple process than a complex one. A form of waste that deserves particular attention is defects—or errors—which cause unnecessary variation and possibly additional work to make corrections. Error-proof your process by designing it to prevent or limit mistakes. A good example of error-proofing is using a drop-down menu instead of an open text field. Or using a text mask that requires 10 numbers if you are looking for a phone number. For processes that are not so black and white, a risk assessment can identify the process areas that are most likely to produce errors. Tools such as a Failure Mode Effects Analysis (FMEA) can help prioritize where errors are mostly likely to occur, based on their impact. With this information, you can determine a mitigation plan and incorporate it into the process design or create an exception path with checkpoints, such as governance or reporting. A strong, error-proofed process is highly repeatable and predictable, which limits the risk of wasted efforts. The third element of process excellence is ensuring the process creates value. To determine whether your process creates value, we must define value and consider multiple perspectives, including internal and external customers. Some activities may be required for regulatory or compliance reasons, and some have inherent value as a competitive advantage. These activities are considered to have business value. Customer value depends on the end customer’s expectations and needs. One way to evaluate customer value is to determine whether or not it is worth paying for. Follow the customer experience by tracking their journey throughout the end-to-end process. What are the key touchpoints when the process impacts the customer experience (e.g., ordering, invoicing, payment, pickup/delivery)? Survey your customers to determine what is most important to them and what they are willing to pay for. Remember, these may not always be the same things. If you can’t survey your customers, engage internal customer advocates (e.g., sales or marketing) who are best suited to represent the external perspective. Or analyze existing customer data as a proxy for direct customer input. Establish metrics and controls to monitor whether processes are creating value and meeting customer expectations. By tracking outcomes and responding to exceptions, you can ensure the process will consistently deliver expected results. This also forces accountability to keep the process in control over time. Metrics can be defined to identify past successes (lagging metrics) or indicate future success (leading metrics). Determining the right metrics will depend on the needs of the organization and your customers, as well as the level of acceptable risk for defects and exceptions. How Does Process Excellence Help? Operations that are effective and efficient, and create value positively impact an organization and lay a foundation for growth. Returning to the example of mowing the grass, I can mow the grass in a shorter length of time by walking a grid to remove extra steps and simplify the process, set the blade to automatically cut the grass at the right height ensuring quality and consistency, and ultimately have more time available to enjoy the yard with my family. Using the concepts of process excellence in this everyday example, we can see how a strong process is easier to execute and manage. This reduces the need for “heroic” efforts and accomplishes more with existing resources, so organizations can scale to a larger footprint, greater output, or bigger impact. Take a back-to-basics approach with these concepts to enable growth with strong processes that make you more effective and efficient, and enable you to drive more value. “Six Easy Criteria Targeting Good Process”, by Jason Piatt, Industry Week: Aug 21, 2012.